Spring is in the air and more berries are making their appearance at the local grocer. Whenever there is a sale on fruit (especially berries) like “buy one get one free” I try to take advantage of the sale and stock up. Recently, there was a BOGO sale on blackberries so I grabbed 4 pints. I also grabbed two pints of raspberries because they were on sale too. There are so many different fruit recipes I rarely have any fruit that goes to waste. After putting some of the fruit away for smoothies, I decided to try out a Blackberry Shortbread Cake. 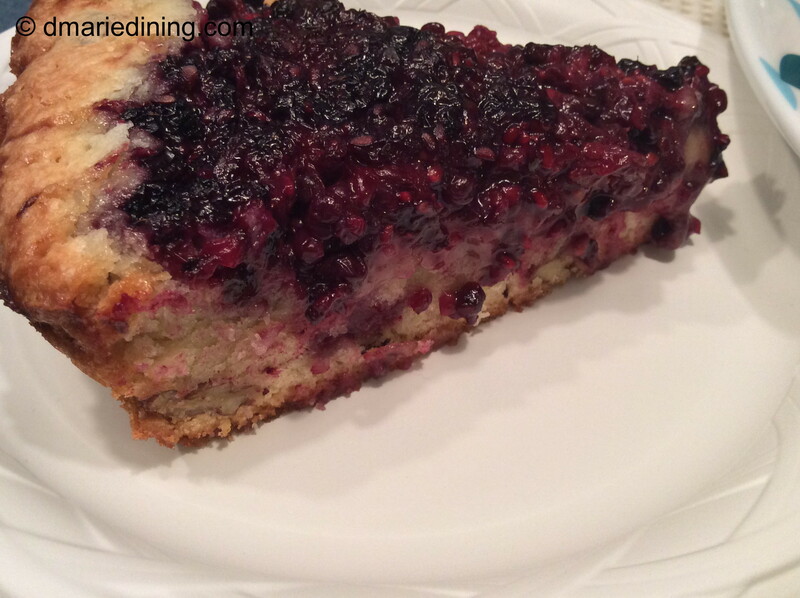 I have been using one of my iron skillets a lot lately to make a variety of skillet pies so I thought I would try my hand at making a shortbread cake in the skillet then top it off with mashed blackberries. Delicious! At least my taste buds thought the Blackberry Shortbread Cake was delicious. I love crust and shortbread cookies so what’s not to love about a shortbread cake! To give this cake an extra reason to love it I added chopped pecans to the cake batter for a little crunch. Once I topped it with the blackberries it was all over. Delicious! Yes, I am repeating myself because the cake was that good. I had to stop myself from eating most of the cake and offered to share it with the family. Now I have another cake I like besides chocolate cake. Line the bottom of a 10 inch iron skillet with parchment paper. Spray with cooking spray. Set aside. 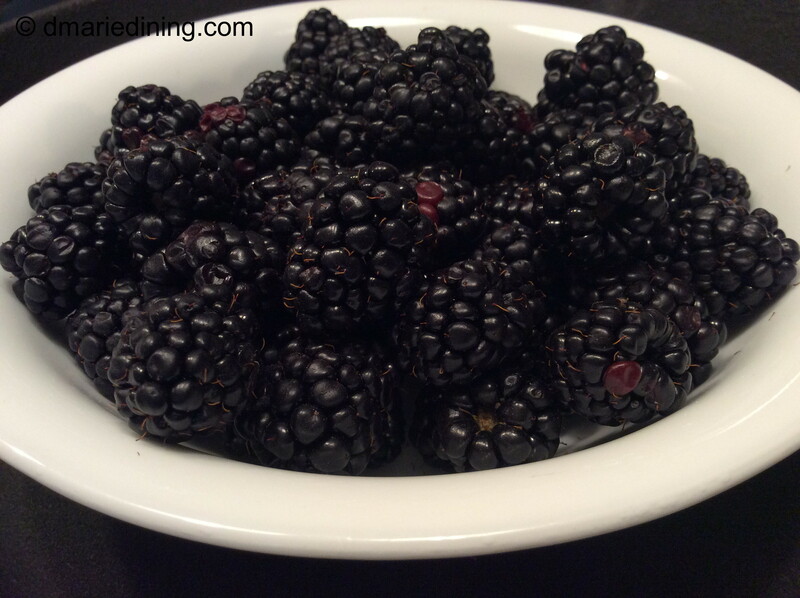 Add blackberries to a medium bowl and sprinkle with 2 tbsp of sugar. Gently mash blackberries and stir to mix in sugar. Mix 1 cup of sugar and melted butter in a large bowl. Beat in eggs one at a time until well incorporated. Shift flour and salt together then gradually add to sugar mixture stirring constantly until combined. Stir in vanilla and pecans until blended into batter. Pour batter into iron skillet and spread evenly. 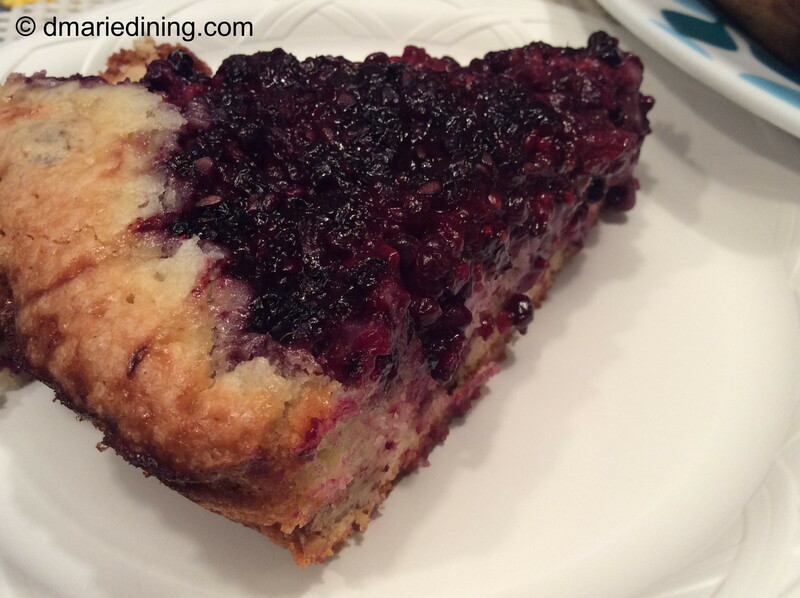 Drain juice from blackberries and set aside. Spoon blackberries over batter. Bake 40 – 45 minutes until cake is lightly browned and cooked through. Test by sticking toothpick in the middle of the cake and if batter is no longer wet cake is done. Let cool before slicing. Lift out of pan using parchment paper. Drizzle reserved blackberry juice over sliced cake if desired. I like the idea of skillet cake recipes. I no longer have a skillet, but I may need to invest in one soon.